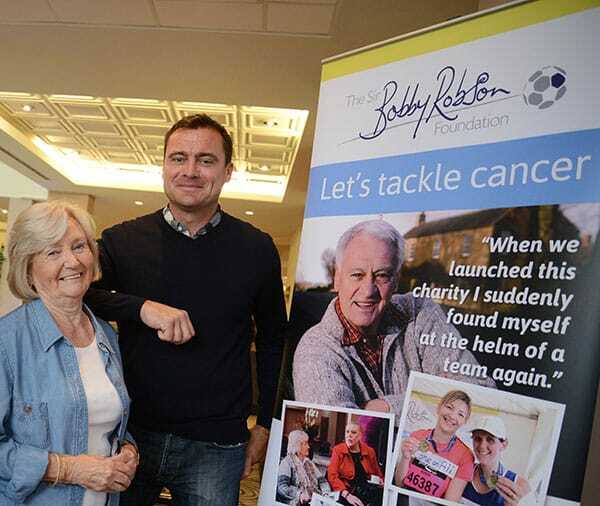 Newcastle Racecourse will welcome the return of a firm favourite on 19th October as Foundation of Light and the Sir Bobby Robson Foundation host their annual Charity Race Day. Backed by Great Annual Savings Group, the football-themed event raises funds for both foundations to support their vital work in the North East. Guests will enjoy Premier Admission to the Gosforth Park Suite, a three-course lunch, race card and the chance to win a host of prizes. Former players Kevin Ball and Steve Harper will be on hand to give their expert opinions on everything Sunderland AFC and Newcastle United related alongside several North-East football legends. Foundation of Light Event Manager Jemma Garrett commented: “We are delighted to team up once again with the Sir Bobby Robson Foundation to host our annual Race Day. Liz Luff from the Sir Bobby Robson Foundation added: “This Race Day has become a very popular fixture in our annual calendar and with good reason. The mix of racing, football and fundraising creates a special atmosphere enjoyed by everyone. Seaham-based Great Annual Savings Group has helped thousands of companies save money on their running costs and is supporting the event as part of a package which also included sponsorship of the Foundation’s Fixtures Breakfast in June. Race Day guests will include Lady Elsie and our Patron, Steve Harper (pictured here with Andrew Robson). Ricky Mingle, Chair of the Great Annual Savings Charity Committee, said: “We are proud to continue our partnership with Foundation of Light by supporting this year’s Race Day. Tickets for the event are available for just £100 (including VAT) per person or £895 (including VAT) for a table of 10. Last year’s Race Day held between the two charities raised over £10,000 to support their work in the region. To book tickets for this event or for further information please call 0191 5515365 or email jemma.garrett@foundationoflight.co.uk.